When Sarah Ladipo Manyika reads lwaloud from her new novel—the exquisitely titled Like a Mule Bringing Ice Cream to the Sun—she becomes the characters whose words she gives life to: her posture shifts, the pace and timbre of her voice morph, her gestures become charged with the energy of an entity separate from her self. It’s dazzling to witness. And if one is lucky enough for this to be the first encounter with Manyika’s work—as it was for me, at a reading at Elliott Bay Book Company in Seattle earlier this spring—it’s impossible to then read her novels without hearing aural echoes of her performance. 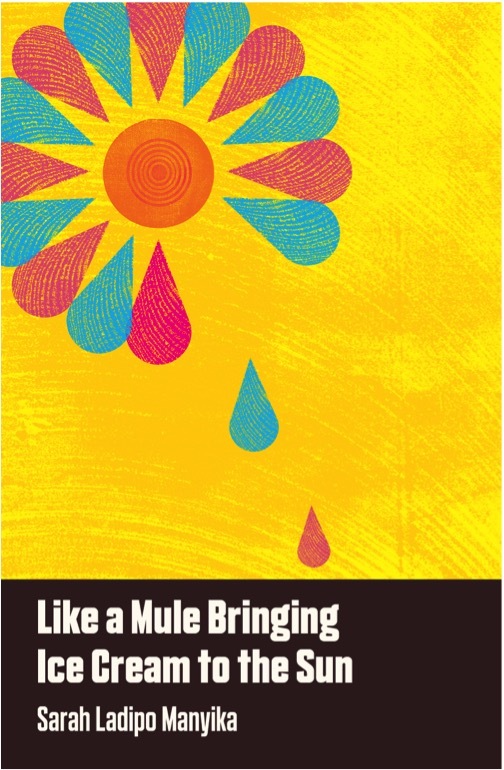 Like a Mule Bringing Ice Cream to the Sun was praised by The New Yorker as a “tale of common humanity” and shortlisted for the 2016 Goldsmiths Prize, which celebreates “the qualities of creative daring.” This year, In Dependence was chosen by Nigeria’s Joint Admissions and Matriculation Board as required reading for all students applying for university. (The novel bears a similar honor in Zimbabwe, where it is read by students studying advanced-level literature.) Ladipo is also on the boards of Hedgebrook and the Museum of the African Diaspora in San Francisco. 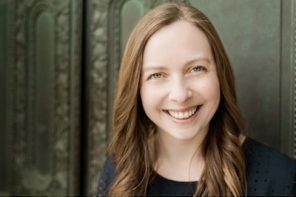 We met in person at her Seattle reading and continued our conversation via email, where we discussed the eroticism of elderly women, how to write characters who inspire, and the confluence between her novels. The voices in Like a Mule Bringing Ice Cream to the Sun are so vivid and distinct. How do you come to “inhabit” a character? I usually begin with the idea of a character and then work on getting to know the character better. I’ve learned from actors that if I try to embody my characters physically, by walking, talking, and even dressing like them, then my characters become more real to me and therefore more believable on the page. I also never write about characters whose lives I don’t have at least some sense of or a genuine interest in. Having a deep interest in my characters gives me both the confidence and passion to stick with them and write them as best I can. You’ve said that you chose the voices you did because you felt that there were gaps in the canon. One might say the same about some of the themes of the novel–I’m thinking especially of the exquisite depiction of Morayo’s sensuality. It’s rare to see eroticism explored in an elderly character. Did you always know that this would be an essential part of her presence on the page? It’s still rare to see eroticism explored in elderly female characters, but not so rare for male characters. Thanks to such authors as J.M. Coetzee, Ian McEwan and Philip Roth, I have many literary examples of older men’s desire, but far less when it comes to older women. Yet, when I speak to older women I hear from them many stories about desire– sexual and otherwise. So yes, desire was always going to be an important part of the book. Morayo has moments where her knowledge of the world’s darknesses comes through, yet her overall worldview is one of profound optimism and generosity. How did this part of her character develop? The name, Morayo, means “I see joy” in Yoruba, so this already signals to some readers that joy has encircled her from birth. At the same time, Morayo works hard to stay optimistic through the challenges that life brings. 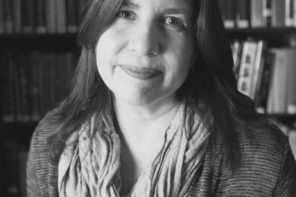 She is someone who is interested in narrative and in the same way that she enjoys changing the endings of some of her favorite books, she also tries to embrace narratives that help move her forward rather than getting her stuck or depressed. I suppose I’ve written a character to inspire me. I love that Morayo arranges her books “according to which characters I believe ought to be talking to each other.” How wonderful to imagine that the resonances and intermingling of ideas can become literal in literature! Which books on your shelves would you arrange to “talk” to each other? What about your own novels? Which writers are you facing on the shelf? Thanks to my character, I too have begun to group my books in non-traditional ways. Thus far, my groupings, unlike Morayo’s, have been less about characters talking to each other and more about pairing authors. For example, I have Marilynne Robinson and Toni Morrison’s Home’s next to each other as well as God Help the Child next to Lila as there are thematic similarities in both pairings. And recently, because London has been on my mind, I’ve found myself placing Zadie Smith’s NW next to Brian Chikwava’s Harare North, Muriel Spark’s The Ballad of Peckham Rye and Ben Judah’s This is London. I, like Morayo, am interested in books expanding and enriching the literary landscape. As for my two novels, they currently still sit alphabetically on my shelves, happily wedged in between Jhumpa Lahiri, Amara Lakhous, Javier Marias, and Gabriel Garcia Marquez. Where did the inspiration for In Dependence come from? If you knew that it would become required reading for university applicants in Nigeria, would you have approached anything differently? At the time that I began to write the novel I was simply looking for a really good love story set in my parent’s generation with at least one character from West Africa, and because I couldn’t find such a story, I tried writing it myself. As Toni Morrison says, if there’s a book you want to read but can’t find, then try writing it. Had I known that my first novel would become required reading for all students applying to university in Nigeria, I probably wouldn’t have had the courage to write it. It has been an incredible honor for me to have a book read by so many people and especially exciting to know that the novel is, in some small way, inspiring a new generation of writers. You’re a Hedgebrook alumna and now a board member. How has your involvement with Hedgebrook supported your evolution as a writer? What has it meant to you to now be in a position to support other women’s writing careers? Going to Hedgebrook was a transformative experience for me. I was already a published author before I went, but the experience of going to Hedgebrook and meeting other writers made me believe in myself as a writer and trust in my own voice more than I’d ever dared to before. I’ve always tried to support fellow writers and Hedgebrook has given me an even wider platform from which to do so. You’re also on the board of the Museum of the African Diaspora, and are involved in other projects as well. How do you make time to write? Finding this balance has been a struggle for me in the past several years, when I changed from freelancing to full-time office jobs. Building and sustaining a writing practice while working full-time feels possible only when I’m far along in a project–when I can work on discrete pieces whose edges I’ve already mapped. Whereas in the early stages of a novel, I feel like I need long, unstructured periods of deep immersion in order to do the work of discovery and imagining. How do you stay so engaged with the world while also removing yourself enough to write? Do you go through periods that are more generative than others? I don’t find juggling easy. However, for the past few years, I’ve been lucky enough to attend a few writing retreats (such as Hedgebrook) and that always gives my writing a boost. Currently, I’m not teaching, which makes it easier to prioritize my writing. The way that you’ve described your struggle to maintain balance certainly resonates for me. In the early stages of any project I need longer periods of unstructured time to delve deeply into the writing and to stick to the project. It’s easier for me to balance several things at once if I’m in the editing and polishing phases of writing. I’m almost always craving more time and solitude to write, but at the same time I know that being engaged in the world is what fuels my writing. I never thought about the confluence of the two books in the way you’ve described it. I love it! This is part of the beauty of writing, being surprised by what others see. Yes, Tayo and Morayo would certainly have a lot to talk about–their relationship might even go further than a platonic one. Who knows! There are certainly thematic similarities between the books, especially around the notion of independence and interdependence. I also see a chronological continuation between both novels. I left Tayo and Vanessa at the end of In Dependence in their sixties and with Like a Mule Bringing Ice Cream to the Sun I moved to a character in her seventies. It would follow, therefore that my next book might feature a character in her eighties and perhaps some younger characters too. Which, coincidentally, at least thus far…is the way book three is looking. 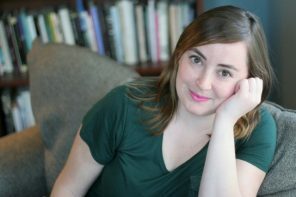 Jenny D. Williams is the author of The Atlas of Forgotten Places, recently published by St. Martin's Press. She has lived in the U.S., Uganda, and Germany, and is a recipient of an Elizabeth George Foundation grant and Teachers & Writers Collaborative fellowship.